The final Tuesday of Semester 1was a day of Gratitude and Giving in the Collab Lab. We kicked off the day with a Teaming on Tuesday book swap. After sharing a favorite book, with an explanation on why and how it had inspired them, staff were invited to exchange books with their colleagues to leave with a new read to enjoy during Winter Break. 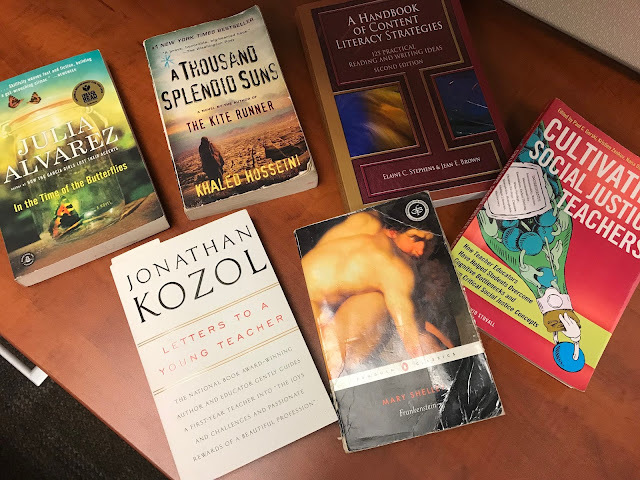 The sampling of books in the photo below gives an idea of the interesting mix that was shared, including both non-fiction books related to education and professional learning, as well as some favorite works of fiction. 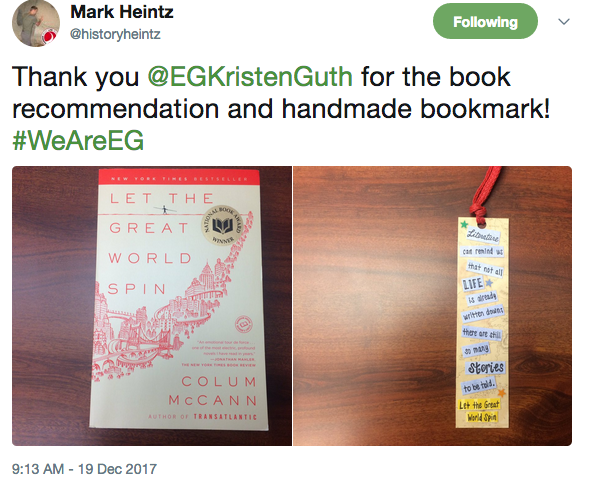 Mark Heintz' left with a new read shared by Kristen Lesniak and it even came with a hand-made book mark! On the final Tuesday of the Semester 1 we also released Episode 7 of our We Are EG Podcast. We decided to do a Gratitude Podcast, inviting any interested staff and students to share something they feel thankful for. Producing this episode turned out to be more fun and inspiring than we imagined. We think you'll be inspired too. Take a listen!